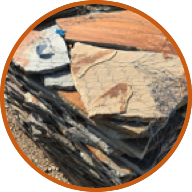 Sign up for our quarterly newsletter for tips on using various materials in different project scopes as well as discounts and special savings. Your email is not shared and is kept private. NEED A RECOMMENDATION FOR A SOLID CONTRACTOR? We get calls just about every day asking for recommendations for a good contractor and honestly, at times, it has been hard to recommend anyone, but after years of working with various contractors on both big and small projects, these are some guys that we stand behind - AND - we are putting it out there for the whole world to see! 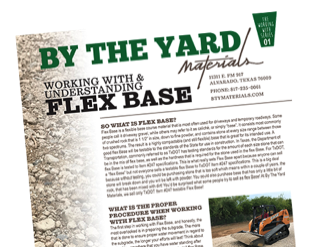 Our special "Working With" series newsletter features in depth, step-by-step instructions for working with various materials in a range of projects... learn how to install a French Drain and the steps involved or learn about working with Flex Base and how to install the material for the longest lasting results. Each PDF is free for download, no strings attached. Sign up for our quarterly newsletter to have them delivered straight to your inbox every three months or so (along with other special deals). NEED TO FIGURE OUT HOW MUCH MATERIAL YOU NEED? From above ground pools to flower beds, to wheelbarrow loads we got the calculators to help you figure exactly how much material you'll need. You can stop in with your truck or trailer to be loaded with material, or schedule a delivery from 1/2 yard in our small dump truck to several thousand yards in tandems or trailers... we do it all. 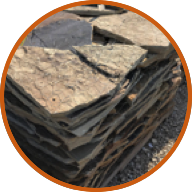 Consistent in thickness at 1" and 2", the Oklahoma Multi-Brown flagstone varies in shades of brown from light to dark. 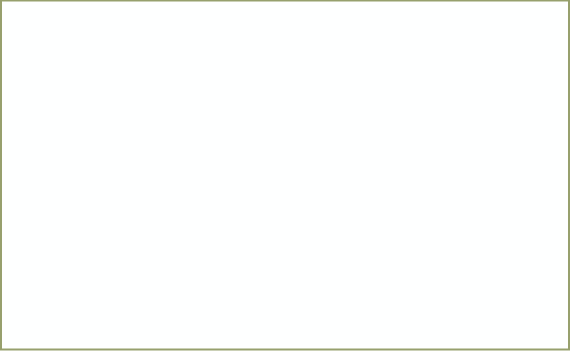 You may find occasional hits of orange, blue, gray, and black. 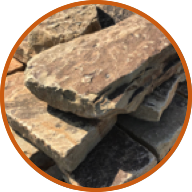 Consistent in thickness at 1" and 2", the Oklahoma Blue / Brown flagstone is primarily tan, orange, blue and gray in color. 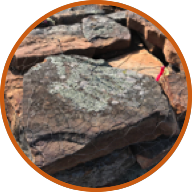 Consistent in thickness at 1" and 2", the Oklahoma Blue / gray flagstone is blue and gray in color with some black flecks. 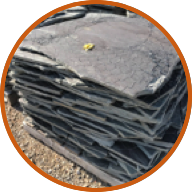 The 2" Oklahoma stand up slabs are multi-brown in color, and vary in shades of brown from light to dark. You may find occasional hits of orange, blue, gray, and black. 3” - 5” thick, 3”-8” Height, 8”+ long. Shades of brown and tan in color. 4” x 6” - 8”. Great for a wide variety of applications from wainscot to flower beds and more. 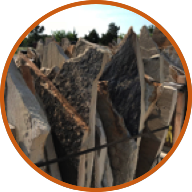 Irregular shaped builders stone. Usually 3"-4" thick. Tan and orange in color. 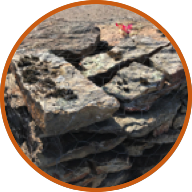 Irregular shaped builders stone. Usually 3"-4" thick. Dark brown, tan in color. 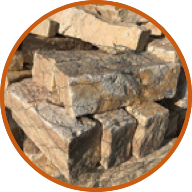 Brick shaped natural stone. Dark brown, tan in color. Great for a wide variety of applications from wainscot to flower beds and more. 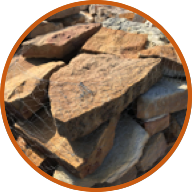 Irregular shaped builders stone. Typically 2"-4" thick. Dark brown, tan in color. 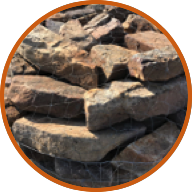 The stones are most commonly used around ponds and flower beds.